[prMac.com] Grand Ledge, Michigan - Gormaya apps are now designed for iOS 8 and iOS 9 with 3D Touch Quick Actions for the iPhone 6s and iPhone 6s Plus. The Quick Actions are primarily a history function for the Gormaya apps Substitutions, Conversions and Cooking Times. Simply press the app icon on the home screen to get a list of shortcuts back to the last few items viewed. "At Gormaya, we design our apps for minimal touch interaction - thinking about a busy cook or baker in the middle of a kitchen process. ", said Duane Fahey, co-founder of Gormaya, LLC. "Now customers with an iPhone 6s or iPhone 6s Plus can quickly get to the information recently visited right from the home screen." The three apps by Gormaya were recently updated for use with iOS 8 and iOS 9, a new color scheme, font type changes, new data and now 3D Touch features for the iPhone 6s and iPhone 6s Plus. 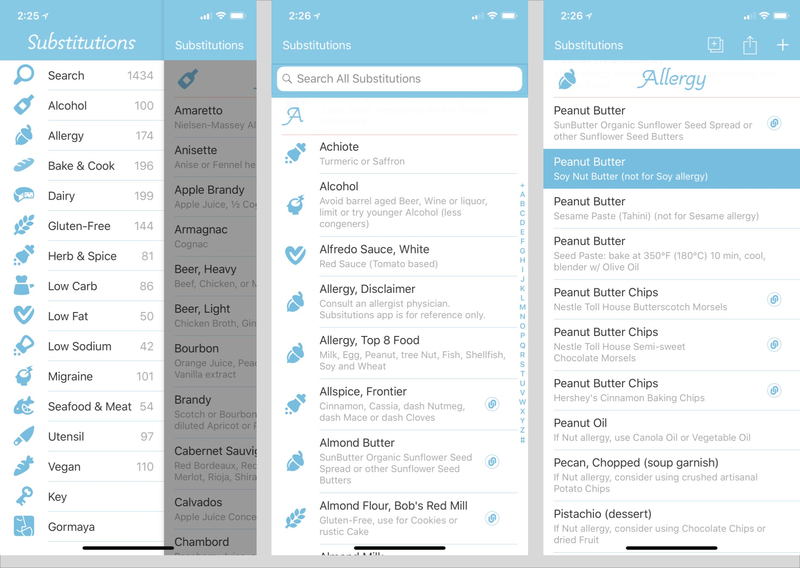 There are now 200+ new food substitutions in the Substitutions app. The Conversions app has a new Linear category, an expansion of the Old Fashioned category and a new section index for the Baking Ingredient category. The Cooking Times app has more Grain, Legume and Veggie cooking times and new recipes for tea from Joseph Wesley Black Tea and Silver Needle Tea Co. 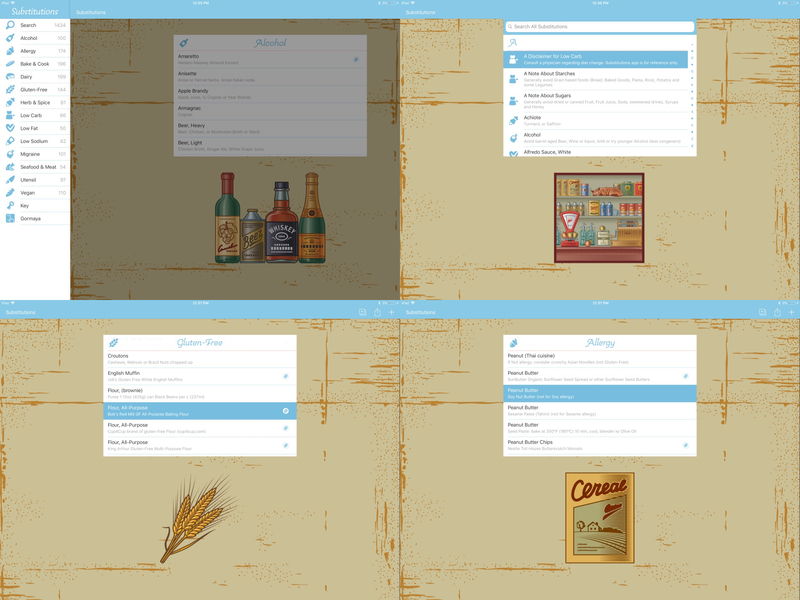 When shopping, cooking and baking food for your holiday meals, the apps by Gormaya provide a great reference. The Substitutions app is great when ingredients are not available or when cooking for someone with a special diet. 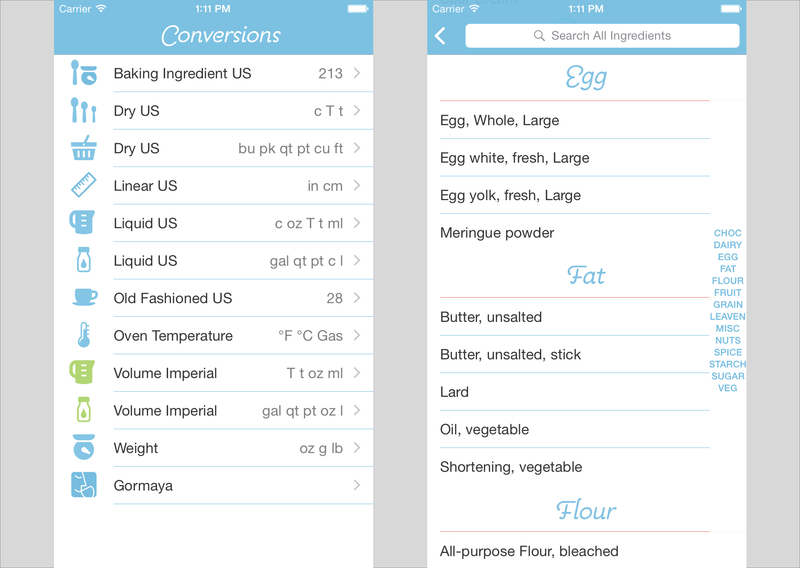 The Conversions app is great for baking to convert ingredient volumes to weight. 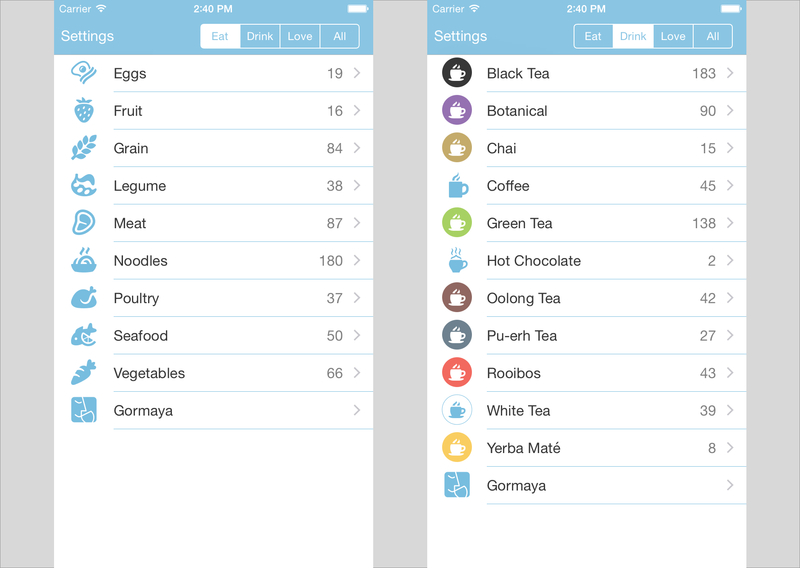 The Cooking Times app gives you a base time and temperature reference for nearly every food and several brands and types of tea. As of the time of this press release, Substitutions 5.1 is available on the app store. Conversions - Bake and Cook version 3.40 is awaiting app store approval and Cooking Times version 5.4 will be uploaded to the app store in the near future. These new versions have the 3D Touch Quick Actions for iPhone 6s and iPhone 6s Plus. Download all 3 of the Gormaya Apps by purchasing the Substitutions - Bake and Cook app bundle for $4.99 (or equivalent amount in other currencies). Gormaya, an independent app developer based out of Grand Ledge, Michigan, was formed in 2008 by Duane Fahey and partner for the purposes of creating food Apps for the iPhone, iPad, and iPod touch. Copyright (C) 2015 Gormaya. All Rights Reserved. Apple, the Apple logo, iPhone, iPod and iPad are registered trademarks of Apple Inc. in the U.S. and/or other countries.